Keeping children amused is childs play, given that you have read the eBook Backyard Ideas For Fun And Frolic. 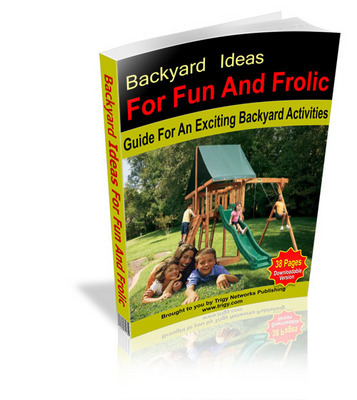 As its name suggests, this eBook comprises 40 pages of great ideas and tips on how to convert your backyard into a place of great fun and joy. These ideas are simple, cost effective, practical, and guarantee unlimited amusement not only for children, but also for the entire family.